Whether you’re simply refreshing, or rebranding your brand identity, it’s a huge undertaking. So many clients come to us not knowing where to begin with their rebrand. Maybe you’ve had your brand for 40 years and are afraid to bring it into the 21st century, or maybe you’ve only had your brand a year, but it’s not generating the response you intended. Regardless of your reasoning, we have a handful of items to consider and prepare prior to starting this journey. A brand refresh is a makeover for your company. It can maintain some of the elements, while bringing in a refreshed typeface, colors, or complimentary elements to give a more updated look without entirely reinventing the wheel. A brand refresh maintains a strong connection to the existing brand identity’s appearance before the refresh, but simply brings it up to date and more applicable to younger audiences. An immediate way to refresh a brand is by removing the outdated elements such as gradients, “fussy” elements that aren’t necessary, and especially typefaces. We found a great example of the many brands that have refreshed over the decades via Pinterest where we’ll show some of our favorites below. As shown above, Apple, Shell and Volkswagen have all refreshed their brands over the past few decades and represent more modern, simple, applicable brand elements. 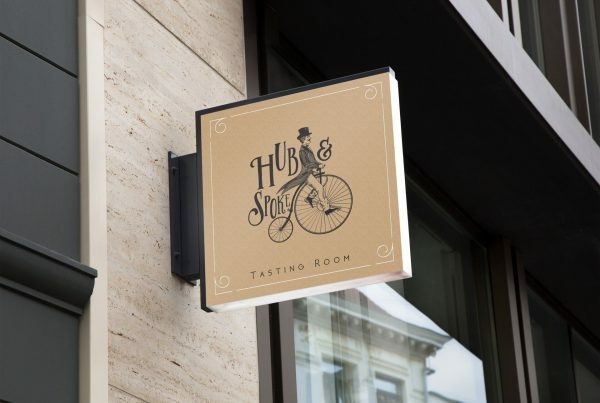 This is an excellent showcase of how simply updating a few areas but maintaining the foundation is a strong way to move your brand forward without entirely rebranding a business. A total rebrand takes things a step further. Sometimes, a rebrand is a result of a declining customer base, possibly a change of ownership, or simply just wanting to give a business a giant push in a new direction. Maybe you’re changing your services, merging with another company, or simply ready to shake things up. Regardless of your reasoning, a rebrand is a huge undertaking and should be thought out entirely, simply because it’s not something you’ll want to do again anytime in the near future. By rebranding frequently, customers may assume your messaging is ever changing, and lose trust in your product or service. A rebrand is an excellent opportunity to critically think about your goals, your existing and target demographics, your competition, and the future of your company. These items to consider/tips for updating your brand will help identify whether you should consider a refresh or a complete rebrand. This is what we consider to be the very first and most obvious item to consider- when was the logo first designed, and when was it most recently updated? Your logo is just like any other marketing element of your business and needs to be revitalized after a certain period of time to stay relevant. There is no “best fit timeline” on updating your logo or brand. Large brands like Coca-Cola make small updates every year, which help keep them continually relevant but to most consumers, the updates would be relatively unnoticeable. This is an excellent approach for companies who want to remain relevant and want to spend the time managing their brand in its entirety. Other large companies like Google and apple opt to update their brand every five years or so. There are no specific rules on updating your brand, aside from avoiding massive changes, frequently. A company can make small changes frequently, to show the continued refinement of their brand, or make larger changes less frequently, all while maintaining consumer confidence. Having an agency create and manage your brand is the best way to ensure your brand identity and all associated assets stay on message, giving your business a more polished look, and an edge over the competition from the beginning. Logos and brand elements go through trends over time. Today’s trends include hipster geometric assets and minimalist typefaces and crests being used frequently. If your brand was designed with a trend, expect to update it more frequently, as new trends emerge so it will always look up to date. If you avoid a trend and simply go with a more modern approach to your refresh or redesign, you will have an updated brand that will last much longer. Our team always opts to integrate trendy brand elements (associated aspects that work well alongside your brand’s logo and modern typeface) while keeping your main brand identity modern yet timeless. This aids in your brand’s longevity, and will more likely allow your brand’s next update to be a simpler refresh than a complete redesign, saving you time, money, and saving potential confusion with customers. A business that is frequently rebranding can confuse customers and potentially convey that the business is unsure of it’s mission, and how it is representing itself. Logo complexity has been declining since most brands are adapting for primarily digital use. From websites to apps, you want your logo to maintain its credibility and its effectiveness across all mediums. Complex logos are frequently seen being updated throughout the past 5 years. Designs including many small details or gradients don’t always translate well through all platforms (both online and offline). 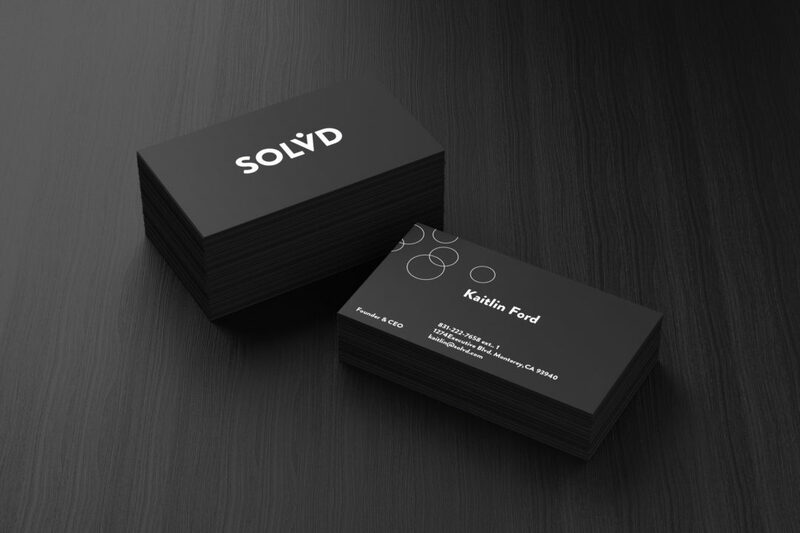 We always consider where your logo will be used when designing a brand – will it be seen on stationary and letterheads? Do you plan on printing on apparel? Do you expect to have an app in the foreseeable future? These are all questions we take into account when designing a brand that ensure your brand will be flexible enough to grow with your business. 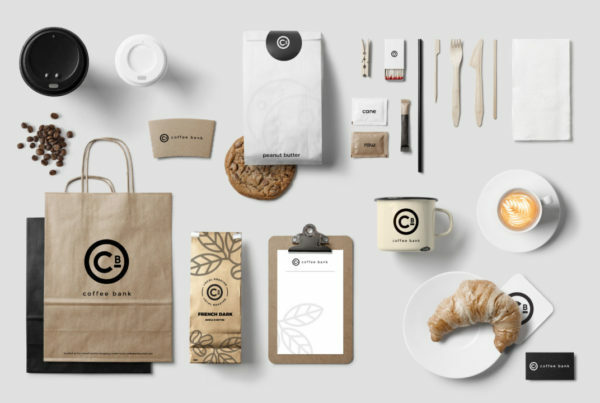 If you’re updating your brand, these are all elements to consider when approaching your creative team and preparing for a rebrand. Spending extra time exploring and researching your target demographic, your competition, and your goals will ensure your rebrand is as effective as possible, setting you up for better success across the board. If your company is changing it’s services or it’s structure all together, this is a great opportunity to rebrand your business or refresh your identity. From mergers to new products, new missions, or consumer feedback implementation, you want to show that your business invests in current design practices and is always moving forward. Refreshing your look will bring a revitalized energy to your company and marketing as you continue to move toward the future. If you started as a small(er) company, you might not have spent the time and resources to really explore your entire brand identity. We’ve seen countless logos that have simply gotten the business through it’s launch phase, but doesn’t necessarily resonate with the customer. Providing a fresh perspective is often seen as a trust mark with consumers. By showing that you’ve grown, and you recognize this growth, your customers will be more likely to continue supporting your business as you continue to support your customer. Your new brand has endless potential- it can say all the things your old logo didn’t, it can be approachable and versatile and represent your business in ways you may never have thought possible. By updating your brand, you are able to explore new opportunities and refine that first impression your brand gives to customers. Your brand is the first impression, and the very core of your company. By spending the time finding the right design team, exploring your company’s mission thoroughly, and letting the creative process run its course, your business can have the refreshed brand identity it deserves.